This church is strong on evangelical giving. 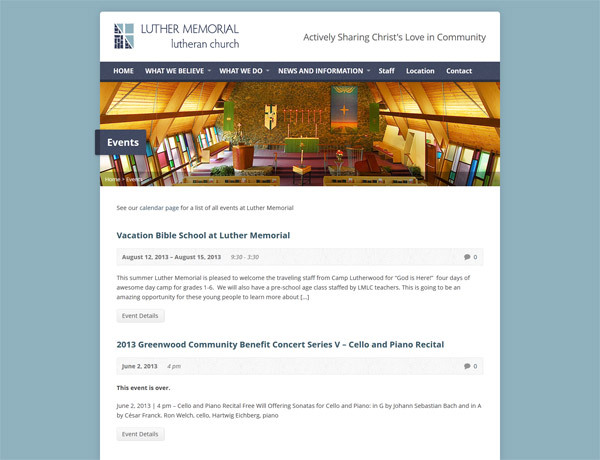 Their goal with the site update was to make the church more welcoming online, while also being easier to navigate. 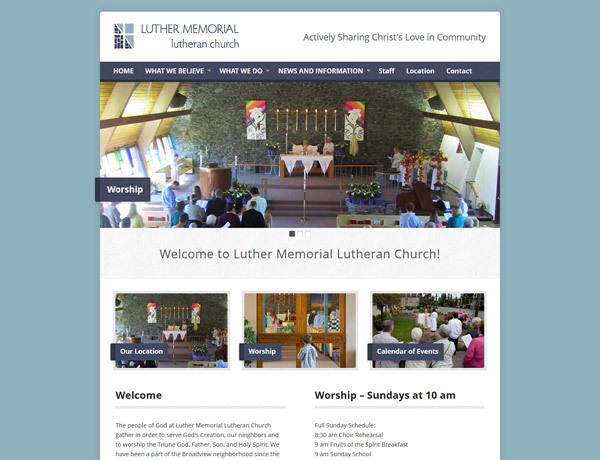 By changing the site to a more open layout with large images, the church is more inviting. 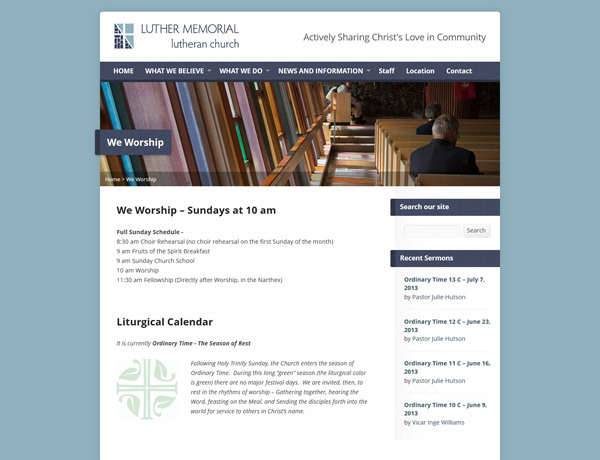 There are also calendars of events and snippets of sermons to let users see what is going on with the church.